Lyons, Tigers, and Bears...Oh My! By: Lyons, Tigers, and Bears...Oh My! 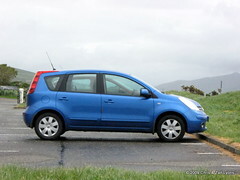 Our replacement car, "Murphy", a Nissan NOTE, prepping for a day at the Ring of Kerry in Co. Kerry, Ireland.